If you need a quick and thoughtful "thank you note" for a gift or gifts that you have received for the Holidays, this is perfect for you! 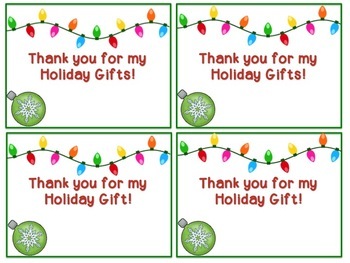 It has the words "Thank You for My Holiday Gift and Gifts in case you receive one or more from a student or staff member. This is NOT an editable product!